Scala Interiors approaches every job with the singularincentive of maximising the potential of a room and property to produce afitting that complements its surroundings and fits in with the flow of itsenvironment. To do this, the team meticulously analyses every aspectof the space available until a solution is found that will achieve the requiredgoal and complete the appearance of a room. Scala Interiors prides itself oncreating interior fittings that complement the room so completely that previousincarnations suddenly appear inconceivable and incredible ill-fitting. 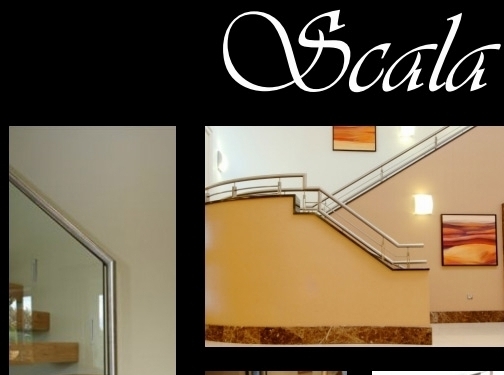 Specialising in wooden and timber staircases, ScalaInteriors understands the logistics of such designs as intricately as theyunderstand the aesthetics. The load-bearing aspects of these fittings can beparticularly tricky, but the team is exceptionally skilled at seeking out theelegant solution. The client is allowed into every step of the thought anddesign process to ensure that they receive the fitting that they desire andrequire. UK (Blackburn) based company - established 50 years ago - providing interior design services. Website includes details of services provided, work examples, PDF brochure, associations, full company contact details. Company website has been online since 2010 according to web.archive.org.